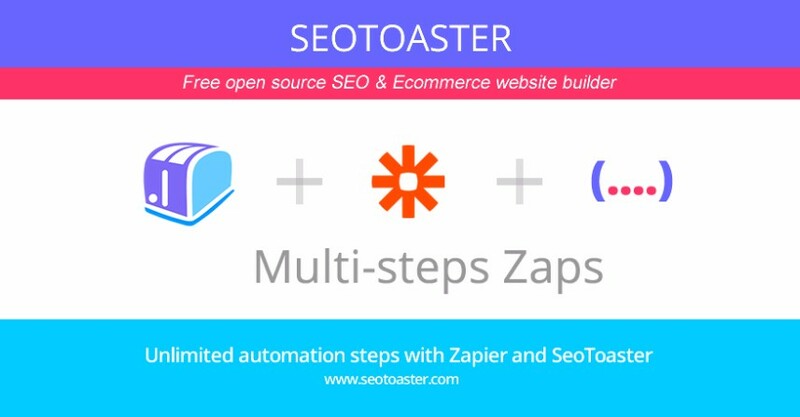 02/02/2016, Camden (DE) - Web app automation platform Zapier, which provides integration with the most advanced SEO CMS & Ecommerce website builder SeoToaster and 500+ other leading apps, has just announced the release of a new and powerful function called "Multi-Step Zaps". SeoToaster CMS is a free and open source content management system designed to help website owners, developers and designers build easily and rapidly eCommerce websites optimized for search engines, online marketing and multi-sites networking. Zapier is an online tool to mix and match trigger-based actions called Zaps and automate workflows between apps. Multi-Step Zaps now allows the creation of a chain multiple and virtually unlimited automated workflows using SeoToaster and or any of the apps available for Zapier integration. Dedicated to giving small and medium business owners the tools to outcompete their competition on the web, SeoToaster CMS is a free and open source content management system that lets web designers and developers create easily and rapidly corporate and ecommerce websites simply and rapidly. 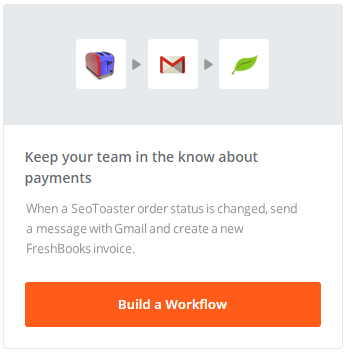 Zapier is an online tool to mix and match triggers and actions based on triggers called Zaps. "Multi-Step Zaps further enhances SeoToaster's integration as Zapier isn't limited to just one action anymore, stringing together any number of steps between SeoToaster and all of available Zapier apps," said Zapier's Partnerships Manager Alison Groves. "This is great news for all SeoToaster users," said , CEO of SeoSamba, the company behind the creation of SeoToaster. "For instance, any SeoToaster-powered website can now post to any number of social networks or RSS feeds, automatically upon publishing any new web page," Mr Leconte added, "or send an email with Gmail and create a FreshBooks invoice upon any order update in SeoToaster Ecommerce." "Thanks to this new tool, SeoToaster users can integrate their website workflow with hundred of apps such as Google docs, Office 365, Salesforce, Constant Contact, or Facebook," added David Culot, CTO of SeoToaster. "And the best part is it works both ways, which opens up new and exciting developments for both Zapier and SeoToaster," Mr Culot concluded.